Dr. Mesen is the founder, and the Chief Medical Officer of the Stem Cells Transplant Institute in San Jose, Costa Rica. Established in 2016 the clinic specializes in the treatment of human diseases using autologous, adipose derived, mesenchymal stem cells. Dr. Mesen is also a co-founder and the Chief Medical Officer of the Anti-Aging and Wellness Clinic. Under his direction, the Anti-Aging and Wellness Clinic has grown to four clinics in three countries; two clinics in Costa Rica, one clinic in Tijuana, Mexico and one clinic in Panama City, Panama. Dr. Mesen previously served as Chief Medical Officer at Costagenics Age Management Program from 2007-2010 and Chief Medical Officer at Anti-Aging Institute of the Americas from 2010-2013. Dr. Mesen has a passion for helping patients and has built both, the Stem Cells Transplant Institute and the Anti-Aging and Wellness Clinic, on a foundation of research and scientific innovation and individualized patient care. His focus is to improve the quality of life of each patient he treats while gaining a better understanding of cellular senescence and regeneration. 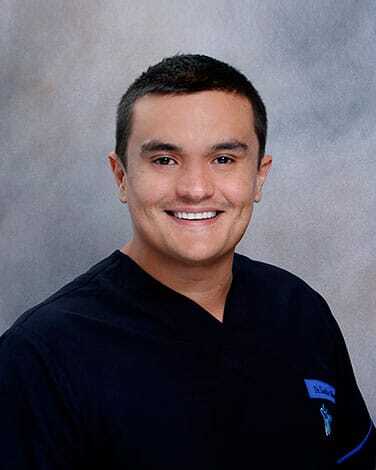 Dr. Mesen earned his degree in Medicine and Surgery from the University of Ibero-America and completed his fellowship in Emergency Medicine at the University of Miami. In 2005, Dr. Mesen received additional training in Pediatric Medicine and Internal Medicine from Caja Costarricense de Seguro in Costa Rica. In 2017 he completed his fellowship in stem cell therapy with A4M is board certified by the American Academy of Anti-Aging and Regenerative Medicine. He is in the process of completing his Ph.D. in Medicine and Surgery at the University of Salamanca in Spain.